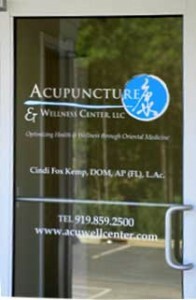 We are a Full-Service Acupuncture, Wellness and Oriental Medical Center. Our goal is to help our patients achieve their highest level of wellness possible. We do this by discussing your complete medical history, understanding the details of your current conditions, and by using Oriental Medical diagnostic methods to develop your personalized, integrative treatment plan. Our approach is to partner with our patients, to outline a plan that addresses your current conditions, and also takes into account any longer-term, chronic contributing factors. We have the expertise and clinical background to help you become stronger and healthier LONG TERM! Please See our patients’ reviews here on CitySearch. Please call us today – we will be happy to help you determine if you are a good candidate for our services. While practicing at the AWC, some patients were looking for an integrative physician (MD) for their primary care. We would like to refer you to Dr. Kiran Grewal. She is an excellent Physician who has a healing-oriented primary care practice. Also, her site is a great resource for the latest wellness information.